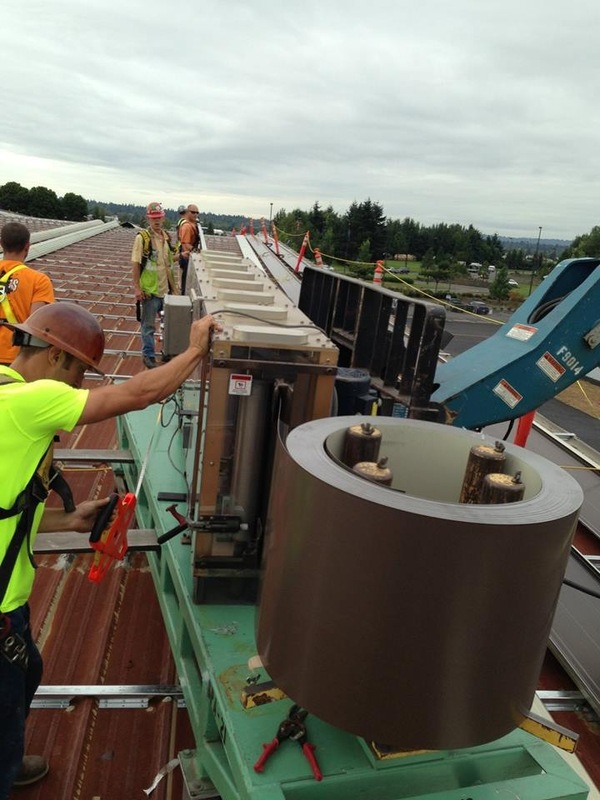 Our journey to becoming one of the largest and most successful metal roofing companies in the Northwest has been both challenging and exciting. Over the last three decades, we have worked in all 10 western states on large schools, military, and state park projects. Today, located in the Vancouver WA area and having surrounded ourselves with good, honest, and talented people-hard workers and self-starters, we focus on larger schools and public works in the Oregon and Washington vicinity. Together we have built an organization that is a smooth running, customer-centered business. Our vision is clear. We are united and passionate about our work and reputation. As our customer you will receive prompt, accurate technical information and superior customer service from our trained team of specialists. Our team of experts is dedicated to customer service and bringing any metal roofing project to a safe and quality completion. We offer a resume that included well over a million square feet. Our 40 years of metal roofing design and installation experience produce unmatched professional service necessary for the quality, timely completion of our contractor-customers projects that do not leak. We have earned a reputation for excellent employees, professionalism and high-quality service. Our communication skills are unquestionable allowing progress without surprises. We believe that quality service does not end with the installation of materials – it ends with the successful completion of the project. As a result, “partnerships” are formed with our customers that go beyond the industry norm. ISM Inc specializes in working on public works projects within the $100,000 to $5,000,000 range including both Preformed Metal Roofing and Siding. We do not install HVAC, metal counters or any other small jobs. We are exclusively a company with a focus on large metal roofing contracts. Contact us today with any questions you might have, or to get a bid on a project! We consider any completed project to be a testimony to our reputation as a professional firm who is easy to communicate with and get the end desired product with minimal unnecessary diversions. You can view our portfolio to see some of our completed projects. Though we have a capacity to run five full-time production crews, we can more than accommodate any of this projects sheetmetal needs. Each of our separate production crews are headed by an experienced and skilled foreman working under a project manager. Each crew is fully trained and is equipped to handle a complete section from beginning to end. ISM currently has zero back-log, so we plan on devoting 100% of our attention to this single project with no other distraction. We are aware of the critical time schedule and that this is a working facility with children present thus safety will be our number one priority. This means not just depending on barriers, but also maintaining human supervision of security and safety for each of the work areas as we progress.